In the realm of electrons and light, NIST provides the standards, develops the instruments and performs the calibrations necessary to keep both the smallest electronic components and the largest power grids running smoothly and safely. Measurement science—or metrology—is critically important in computer chips, from design to manufacturing and quality control. 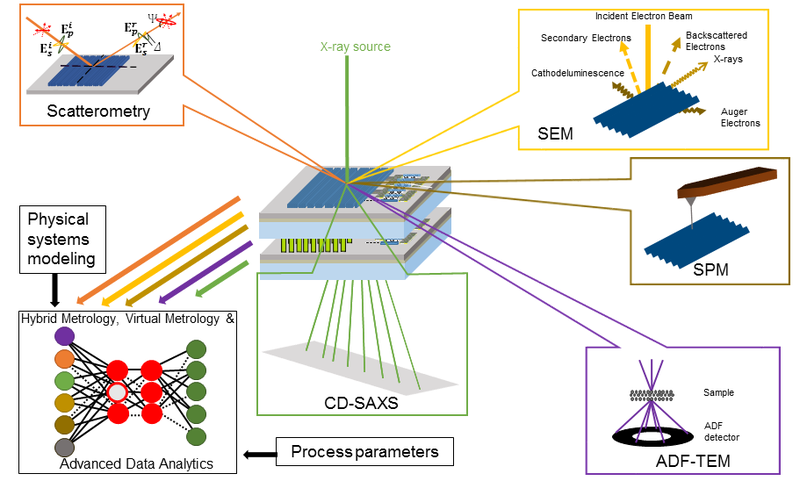 The metrology requirements for next-generation computer chips are stringent and specialized. No single instrument has the speed and sensitivity that’s needed to characterize a host of complex material parameters and measure all of a chip’s dimensions—the tiny sizes and distances between its various features. Learn more about NIST's work in this space. To support comb-based measurements outside the metrology laboratory, we develop high performance, robust frequency combs based on fiber-optic technology.